I've read several books in the last few months that I feel a little indifferent about. Not passionate enough to write a full-length review, but still have a few thoughts on each. Here's my winter reading review. I really enjoyed this heartwarming and humorous memoir of stewardess Violet Jessop---the woman who outwitted multiple childhood illnesses, two ship sinkings, several other at-sea tragedies, and many suitors, to die a happy elderly woman in Suffolk at the end of her amazing life. Jessop was a great storyteller and the addition of the editor's annotations made for a clear, easy read that kept me interested and entertained. 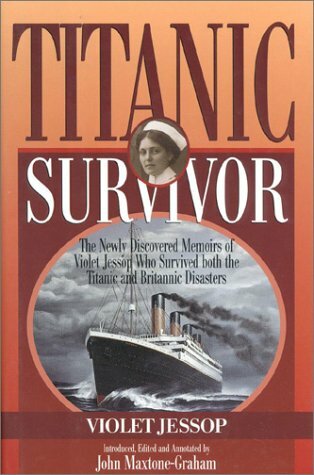 I was surprised at how easily Jessop resumed normal life after the sinking of the Titanic and Britannic ships. I wonder how much healing time had passed before she actually penned these memoirs as her hindsight is unnaturally calm. She exhibited a great attitude about getting right back to her work and not allowing fear to keep her from pursuing the sea life she loved. A couple years ago, I put on a Titanic Tea Party for my kids for one of our homeschool lessons. My now 8-year-old daughter played Violet Jessop. You can see that here: Titanic Tea Party. 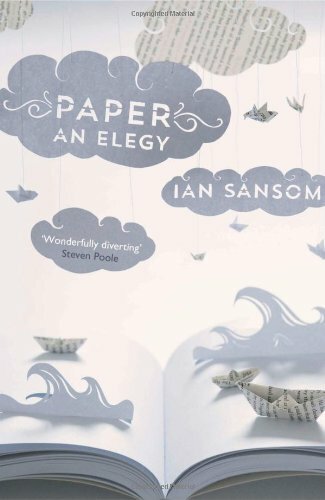 Well, I want to say that a book on paper is just as dull as it sounds. Yet, a book on paper is exactly the sort of nerdy thing that appeals to me. However, in this case---meh. I purchased this in Bath, England in September 2016 during the Jane Austen Festival so I felt compelled to finish it, but it was a push to be sure. There were a few interesting parts but, like many of the "biographies of things" I come across, the author includes every bit of every random detail possible and takes lengthy jaunts in odd directions in order to fill pages. So, rather than being exciting and interesting, I found many parts to be dull and droning. 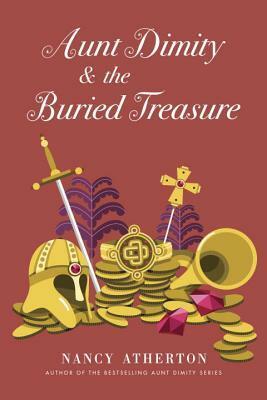 I was especially intrigued by the descriptions and histories of board games. I had no idea that paper board games were so old and that there were games like Monopoly that predate it. I'd love to get a hold of some of these neat Victorian board games! I also loved his description of how he will go with shoddy clothes and bills owed in order to make sure he's got books. This is true Bibliomania---an ailment I suffer from without much suffering. ...and then there's the part where he used the word "phantasmagoric" by the third page. Anyone who can work that into a sentence deserves a good pat on the back! This book was meant to be relatable. However, reading this memoir was like reading a Judy Blume book in the 5th grade. I felt the same sense of not being able to quite relate to the awkward teen thing. I just wasn't really an awkward teen and definitely wasn't an innocent or inexperienced one. Now that I'm living a much more moral and decent life than I did as a teen, I should be able to say that I wish my teen years would have been more like the idyllic ones she describes. But really, they were great years and I wouldn't be who I am now (and wouldn't be avoiding the stuff I now avoid) without them. Does that character revelation disappoint you? Ha! Well, I guess you can take comfort in the fact that I'll always tell it to you straight---like it or not! In other ways, I related completely. For instance, in her chapter on being a bookworm she discusses the city library of her youth. "Entering the Ames Public Library I could feel its compelling power immediately." In describing the selection of books she says, "It was like having a box of assorted chocolate, all tempting, with unknown centers. I wanted to bite into each one right away to see what it was like." Recently, my mom and I visited the library in my hometown. So many wonderful memories came rushing back---libraries have always felt like home to me. Even upon the very first visit! I related well to her stories about her early days in journalism and trying to put together a feature story form an interview subject that was way over her head. Her experiences mirrored my own immature attempts to appear to be a "real newspaperwoman" in my early 20s. Like me, she didn't last long in journalism. 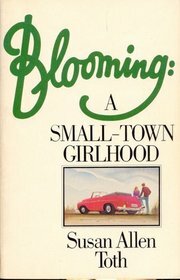 The book is basically a really thorough social commentary on American life in between my mother's and grandmother's eras. Allen Toth had a simple, positive childhood, for the most part and told her story in an engaging way. Were I a good 30 years older than I am, I think this story would have affected me strongly. As it is, I can't say that I enjoyed the book---but I obviously found enough worth in it to read it through. This was my first Aunt Dimity book and I'm already in love with the characters, premise, and setting of the series. It's not often that you find a happily married mother as a heroine; that, and the fact that they're set in England, is what really attracted me in the first place. This particular mystery was fun as my husband and I having a growing interest in archaeology having watched the first 15 seasons of Time Team on YouTube. Also set in England, the team is always finding neat artifacts like those involved in this story. I love reading cozy mysteries but find it difficult to find clean ones. I picked this one up at our local library, taking a chance that it would be ok. I was pleasantly surprised as, for the most part, there wasn't much in it that was objectionable. After reading reviews on the series as a whole, it sounds like most are not murder mysteries and that most readers are finding them to be clean. I'm looking for the first books so I can give them a go. This book had been on my wishlist for quite awhile as I've always been intrigued by the history and story of the Salem Witch Trials. 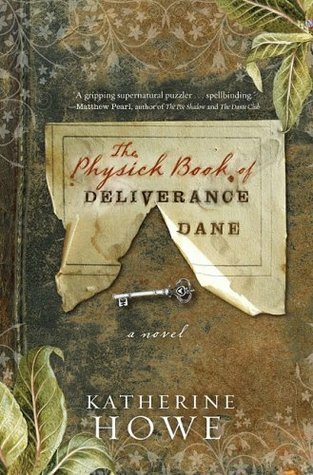 Author Katherine Howe is a descendant of two Salem women of the time---one who survived the Trials and one who did not. Her interest in her family history spurred her to write this story---just like my New England heritage is part of why I'm interested in the subject as well. I've read a lot on it---but nothing like this. If I don't think too much about the plethora of plot holes, immaturity and lack of education of a supposed Harvard graduate student, extremely annoying predictability of every part of the story, and stereotypical character types; as well as the fact that the moment the protagonist has been waiting for---the unearthing of the object she's searching for throughout the ENTIRE book---is alluded to rather than actually described...if I don't think about all of that and more, this book is not so bad. Everything I've ever read on the subject assumes the women were set up by jealous or resentful villagers or that hysteria blinded the leaders and pride kept them blind. Nothing I've read has ever asked the question that Howe asks: What if they really were witches? What was really interesting to me is that she doesn't just ask if they really were witches---but if they were witches AND Christians? She makes the point that we really only understand things at the level of technology that we've advanced to. With the Puritan Movement in full swing in New England, there was still a lot of confusion as to how God worked in the lives of his people. The Trials served as a catalyst to decide how far one could go in interfering in the lives of others and still "blame" God for the outcome. As far as "levels of witchcraftiness" in the book---it really doesn't become a thing until toward the end and it's not super sinister freaky weird. It still seems out of place in a book that was showing such promise "scientifically" without a bunch of supernatural nonsense. The theme I loved the most in the story was the story of the mother/daughter bond throughout the generations. This is one of those stories that makes everything known to the reader before the characters are aware. Whether or not that was intentional, it was interesting seeing how things played out---even though there were no surprises. 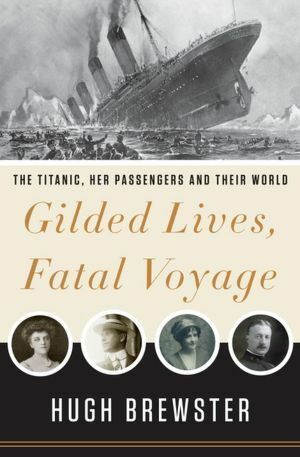 Book Description: "Gilded Lives, Fatal Voyage takes us behind the paneled doors of the Titanic’s elegant private suites to present compelling, memorable portraits of her most notable passengers. The intimate atmosphere onboard history’s most famous ship is recreated as never before. The Titanic has often been called “an exquisite microcosm of the Edwardian era,” but until now, her story has not been presented as such. In Gilded Lives, Fatal Voyage, historian Hugh Brewster seamlessly interweaves personal narratives of the lost liner’s most fascinating people with a haunting account of the fateful maiden crossing. Employing scrupulous research and featuring 100 rarely-seen photographs, he accurately depicts the ship’s brief life and tragic denouement, presenting the very latest thinking on everything from when and how the lifeboats were loaded to the last tune played by the orchestra." This quote at the very beginning of the book is probably why so many of us love Titanic stories: we are sad that these beautiful people had to experience such horrible tragedy. We are also the tiniest bit reassured when we are reminded that tragedy is not a respecter of persons and is often left to chance. Horrible things can happen no matter how rich and famous one is. Books like this take me forever to read, not because they're dull but because I usually can't go two pages without finding a reason to stop and research something. I really enjoyed reading the mini biographies constructed around an in depth look at high society before WWI destroyed the Gilded Age of America and Great Britain.